It’s on, it’s off, it’s on again…! Everything you need to know, minus everything you don’t, in the build up to the mega fight of the generation. 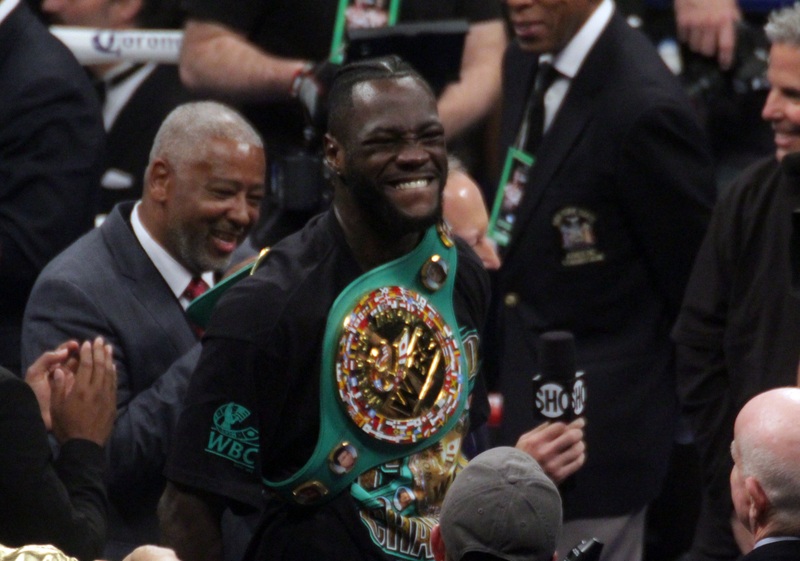 At the moment of writing this article, the mouth-watering match-up between England’s Anthony Joshua and America’s Deontay Wilder is looking decidedly shaky. At least for this year. If you’ve been living under a rock (a rock with no WiFi), they’re basically making a lot of noise. Click bait mainly. Look up some longer interviews with each of the main players to get the real story. I HAVEN’T GOT TIME, WHAT ARE THEY SAYING? Absolutely nothing. Is that a display of his cowardice? Absolutely not. His class? Yeah, maybe. Or perhaps his cunning? More likely. He defers to promoter Eddie Hearn for the verbals. A lot. He’s accusing Deontay Wilder of avoiding signing the contract. Not because he’s thinks Wilder is scared (that wouldn’t help Hearn to sell Wilder as a mega opponent down the line) but because he reckons Wilder’s team are delaying for business reasons. Essentially that he’s ready to fight Joshua anywhere, so long as the price is right. Love him or hate him, Wilder is doing his own talking. He’s not a man accustomed to utilising a million-dollar education or an accounting degree or a team of marketing & legal experts to do his talking for him (although he certainly seems wise enough & wealthy enough to attain all three). So in the war of words, he’s left fighting his own corner against the much more experienced and slippery Eddie Hearn. Yes, a lot of it could be hooey & hype, but if you avoid the cut-down Instagram videos, Tweets & click-baity headlines that social media are punting out, you’ll see he comes across fairly straight and honest once he’s got going. SO WHAT’S REALLY GOING ON THEN? Joshua is ready to fight Wilder. Wilder is ready to fight Joshua. But promoter Eddie Hearn has realised that if Joshua takes a tune up first, they can all make a lot more money. And, perhaps more importantly, the fighters won’t risk their clean records against each other, before it’s absolutely necessary to do so. 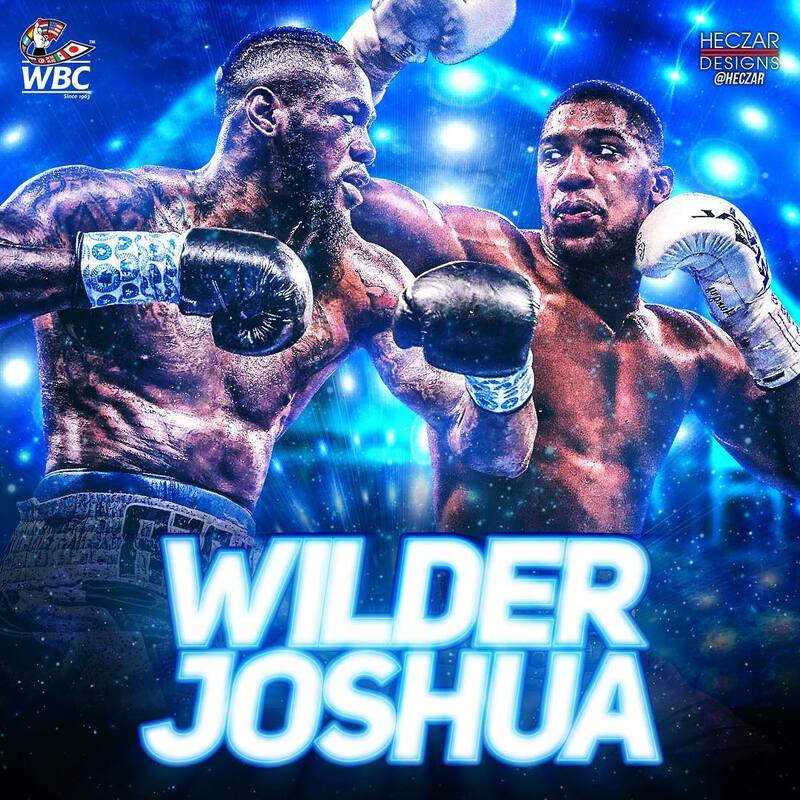 Joshua & Wilder, each having knocked out all of their opponents-bar-one, are each other’s worst nightmare in terms of risk – a loss could damage their respective careers and their ticket sales forever. 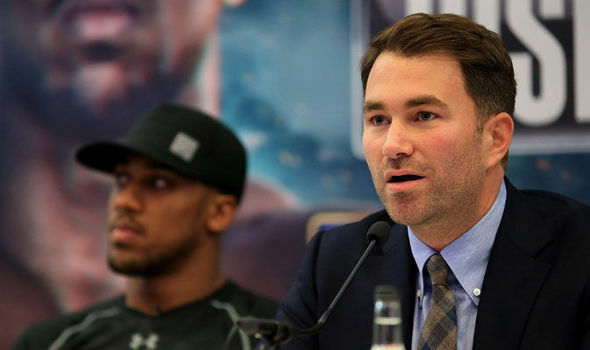 Hearn has not, of course, actually stated that he’s holding his fighter (AJ) back, but he has been accused of low-balling Wilder when sending out the contract and he did seem very quick to talk about moving on when Wilder’s team questioned the details. In short, for the money men and potentially for the fans too – much like the teenage romance story this is turning into – the longer it builds up, the more attractive it becomes. But that plan comes with a caveat. A shelf life. Deontay Wilder is now 32. In two years time he will be 34. And then people will start to call him over the hill. He won’t be, but people will say it. And at that point, we have another Lewis-Tyson scenario, another Calzaghe-Hopkins, another Mayweather-Pacquiao. Ahh, they will sigh… but he never faced him at his peak! SO WHAT IF JOSHUA WILDER DOESN’T HAPPEN THIS YEAR? It’s certainly possible. Perhaps even likely. Afterall, the WBA have ordered Joshua (who holds their belt) to fight mandatory challenger Alexander Povetkin this year, and if that happens, Wilder will be left looking for a name for his own tune-up. Fight Scene predicts that this will be against another British heavyweight. Once the Matchroom engine revs up and roars into action, Hearn will likely take advantage of Deontay’s situation by pushing a big-name-Brit under the Wilder bus, to test the potential ticket sales for a UK fighter in the states. They will then announce a new Joshua-Wilder date next April. SO WHO SHOULD WIN, REALLY? Anthony Joshua is the complete package. Too big and too strong with a decent set of boxing skills. He’s also at the sweet spot in his career where he’s still young, fresh and hungry, but has the recent experience of beating a string of champions. It could be said by doubters that Joshua has only faced one real name – Wladimir Klitschko – a man already beaten by another British heavyweight with questions marks against his career, Tyson Fury. And even Wlad, who was not known for explosive power even at his peak, managed to knock AJ down. He shook him to the core and almost ended him. 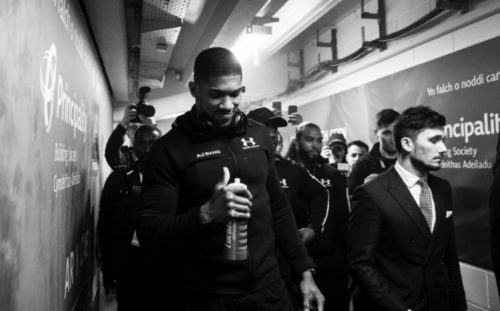 In his two fights since then, both in Cardiff… AJ first struggled against the smaller last-minute opponent, Carlos Takam, before it was stopped on cuts, many say prematurely… and then struggled to a boring points win against Kiwi Joseph Parker. He’s also had just 21 fights, rarely going into the later rounds to test his stamina. Deontay Wilder, on the other hand, has fought almost twice the number of opponents and has never even taken a knee. He’s knocked out all of them but one. That’s 39 heavyweights. Out cold. The fight is still most likely gearing up to be a tight Joshua win (followed by a raucous rematch), but don’t underestimate the brutal punching power and the awkward, unpredictable, flashy style that Wilder will bring to the battle.